Via Facebook, Art on the Avenue is being postponed and will be held on October 10th. Due to the forecast of severe weather including flooding rains and strong winds, it is with great disappointment to announce that Saturday’s 20th Annual Art on the Avenue is being postponed until October 10th. 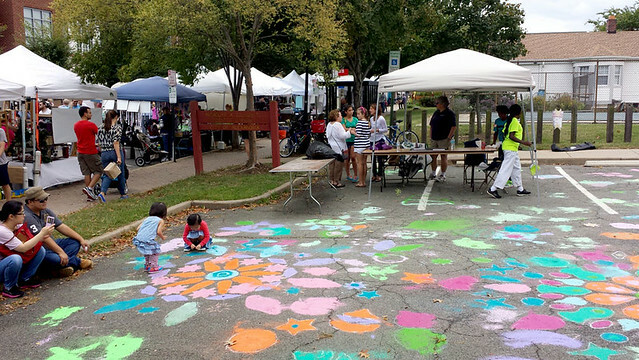 Due to the forecast of severe weather including flooding rains and strong winds, it is with great disappointment to announce that Saturday’s 20th Annual Art on the Avenue is being postponed until October 10th. Organizers participated this morning in a conference call with City officials and the difficult decision was based on the State of Emergency declared by the Governor and the City of Alexandria recommendation. Chairperson Pat Miller stated “Nothing is more important than the safety of our vendors, our volunteers and our faithful attendees. Due to the strong potential of flooding in both the fields and streets, electrical concerns, winds picking up tents and the need for our law enforcement to be taking care of weather emergencies, we feel this was the only responsible decision.” The organizers are sorry for any inconvenience this causes and hopes everyone is able to still come out on October 10thfrom 10 am to 6 pm and celebrate Art on the Avenue’s 20th Anniversary. This is the first time in the history, the event has had to be postponed.